There is a hidden curriculum in medicine that encourages trainees to do extensive workups to demonstrate their knowledge and curiosity. As a resident I rotated through one consult service where I was encouraged to strive for 10 recommendations on my original consult note. It was the mark of completeness, I was told. There was always something to test for and if I didn’t find it I wasn’t thinking things through. Overutilization is engrained in medical training. The patient ‘workup’ is too often an opportunity to showcase our command of the differential – a form of clinical posturing that’s ultimately about the provider. Perhaps more concerning than this culture of clinical exhibitionism is the idea that the thinking follows us into the real world of medicine. Here the failure to overevaluate is often positioned as negligence. The demonstration of diagnostic assessment is important for trainees. A patient’s evaluation is equally important but should be evidence-based and strategic. Optimally, it should respect the patient’s capacity for the evaluation as well as the resources available for care. Changing clinical exhibitionism will require rewarding the measured approach to patient care. Think essentialism for clinical thought: What can we eliminate to optimize the care and experience of a patient? When we consider optimization and experience, cost takes care of itself. And just to make you think: Could patients be culpable in this environment of excess? Perhaps. Every e-patient has a story of the thing that wasn’t done for them. 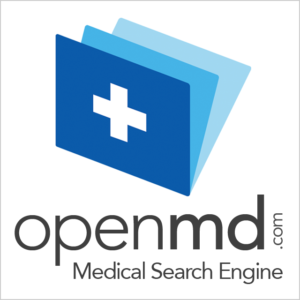 Patients bring their own action bias to the exam room. Slightly modified image from the William Osler photo collection, McGill University. 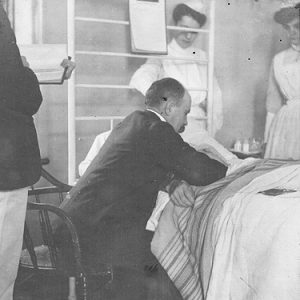 | Shown is William Osler conducting a demonstration in pathology in the “Green Room” in Philadelphia General Hospital.